The Claire Robertson papers, 1964-2012 are now available for research! Claire C. Robertson (b. 1944) received her B.A. from Carleton College in 1966, her M.A. from the University of Chicago in 1968, and her Ph.D. from the University of Wisconsin in 1974. She is the author or editor of eight books and numerous articles on women, class and gender relations, and African studies. Dr. Robertson was a professor at Ohio State University and a visiting scholar and adjunct professor at Indiana University, Bloomington. Robertson’s teaching and research focused primarily on the history and culture of women in Africa and on women’s studies. 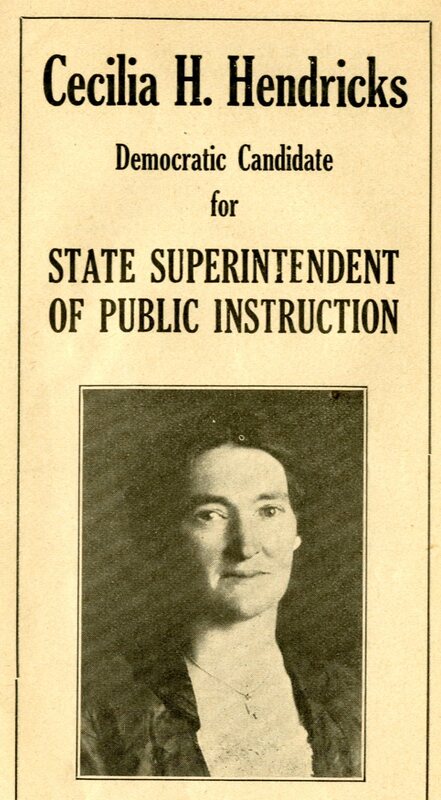 This collection consists of a portion of Robertson’s teaching materials, her research materials, manuscripts and writings, and other records relating to her career and professional activities. 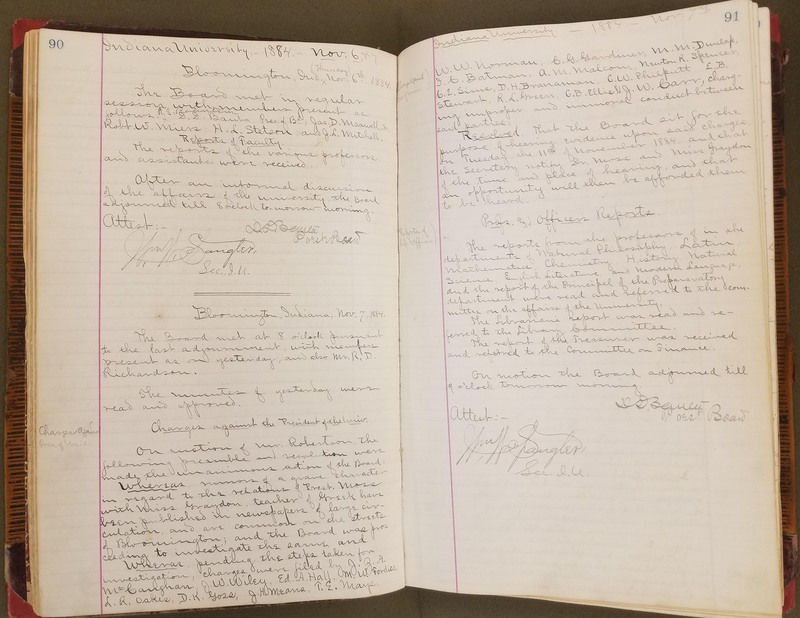 The collection arrived at the University Archives in multiple accessions between 2010 and 2012 totaling over 60 cubic feet of records. 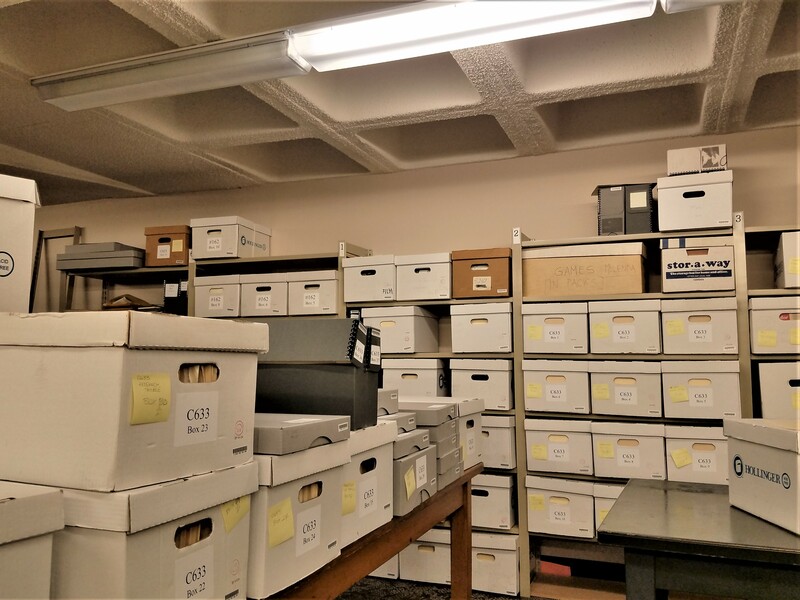 Archival processing, a term that encompasses the tasks of arrangement and description for the collections in an archive, can often be a time-consuming task. 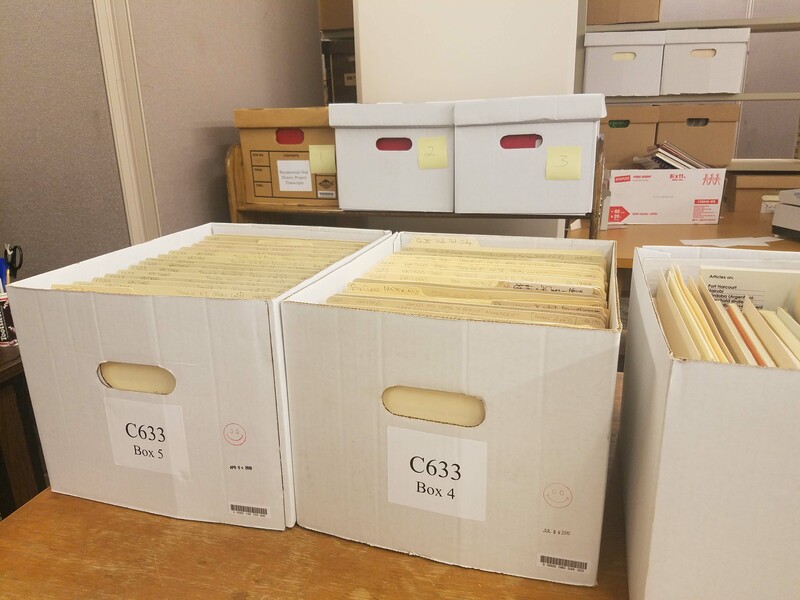 Depending on the size of a collection, the level of organization that a collection has when it is donated to the archive, any preservation issues, and the level of detail which needs described in a finding aid, processing archival collections can take anywhere from a few days, to a few months, or maybe even years! Processing the Claire Robertson papers took some time between 2017 and March 2018 because of the size and condition of the collection. Archivists often work on multiple tasks at a time. For student processors (like me!) this provides a great chance to learn how to ‘wear many hats’ so to speak. This project was ongoing while I managed other smaller projects and had the opportunity to learn more about different kinds of processing needs for different collections. The end result is an arranged collection and a detailed finding aid to help researchers access all parts of the collection! 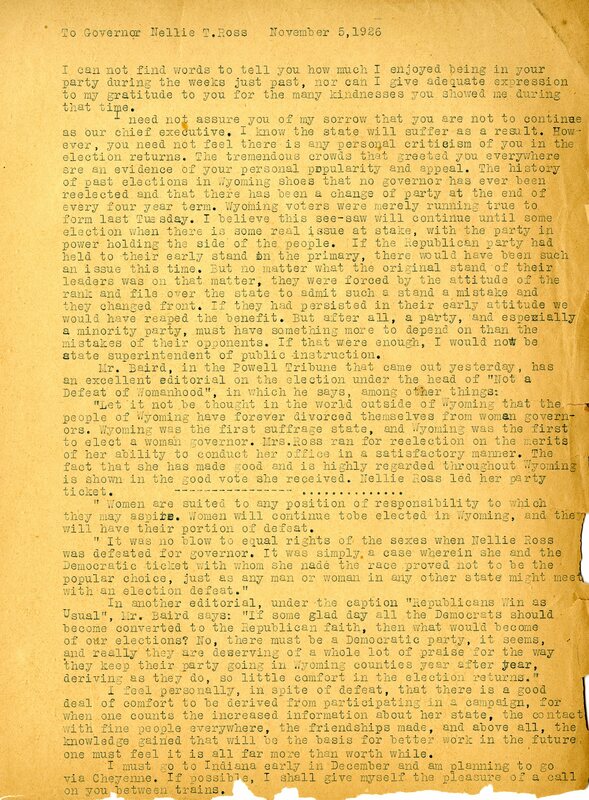 The Claire Robertson papers contains materials relating to Robertson’s time in graduate school, her teaching files from classes taught at places other than OSU, manuscripts and drafts of her many articles and books, items relating to her professional activities, and a large amount of research and data that she created and used while writing her books Sharing the Same Bowl and Trouble Shows the Way. Much of her research involved surveying participants in Accra, Ghana and Nairobi, Kenya, and then compiling the data to analyze with a computer. But, in the 1980s and early 1990s computers weren’t very advanced. The print-outs of the computer data fill numerous oversize boxes on their own! As a professor and instructor, Robertson taught history, African studies, and women’s studies courses at a number of universities, including Indiana University, Bloomington. She is also the author or editor of eight books and numerous articles on women, class and gender relations, and African Studies. In 1985, she was the winner of the African Studies Association’s Herskovits Book Award. In 1987-1988, she held a Fulbright Fellowship to study the development of Kenyan trade and market women in the Nairobi area. Robertson was a professor of history and women’s studies at The Ohio State University for over twenty years, and active on numerous committees and projects. She also served in various capacities at Indiana University throughout her career. Beginning in 1978 she served as a Faculty Research Associate in the African Studies Program and in 1984 she was the Co-Director of the Office of Women’s Affairs. From 1992 until 1993 she was appointed as a Visiting Scholar in the Women’s Studies Program, and she has since served as a Lecturer and been involved in IU’s Fair Trade Bloomington selling artisan-made items to benefit two projects. 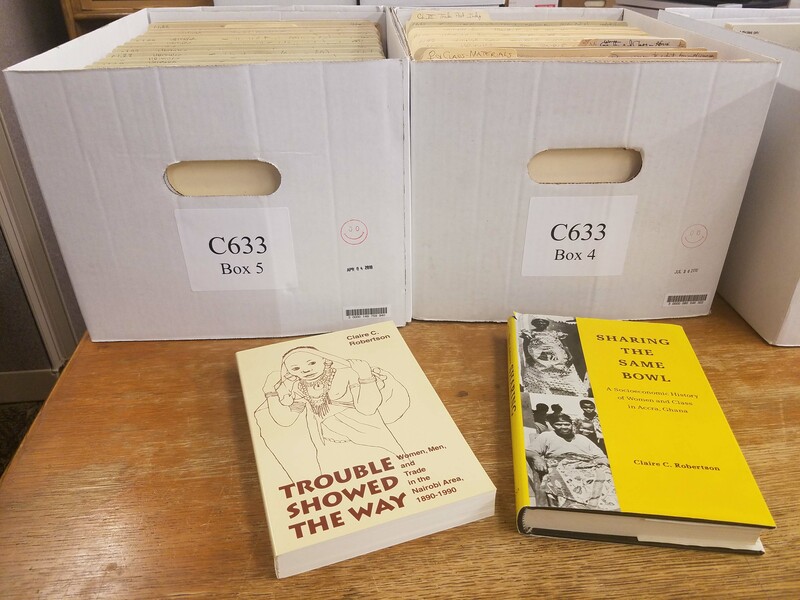 The Indiana University Press published her books, Sharing the Same Bowl: A Socioeconomic History of Women and Class in Accra, Ghana in 1984 and Trouble Showed the Way: Women, Men, and Trade in the Nairobi Area, 1890-1990 in 1997. Much of the archival collection consists of Robertson’s data and analysis for her various research projects and publications. 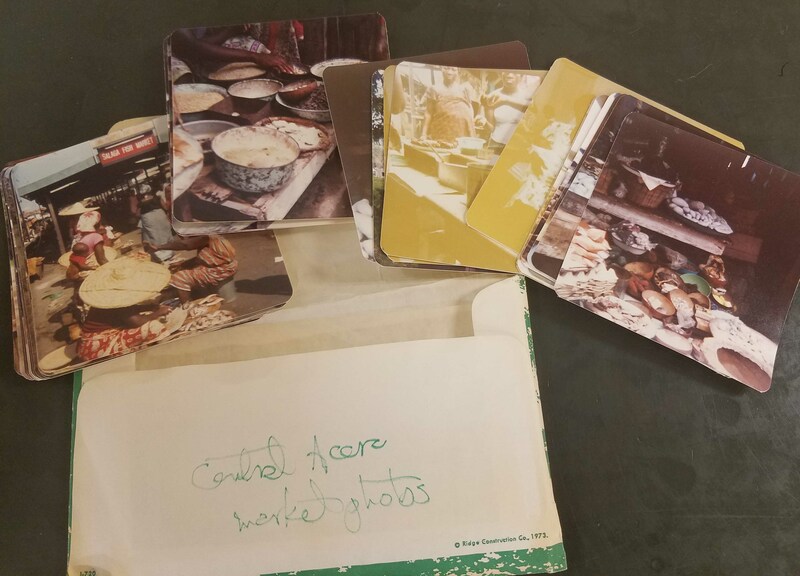 Central Accra Market Photos, 1978, Claire Robertson papers, Collection C633, Indiana University Archives, Bloomington. In Bloomington, Robertson now works on two projects to provide help to children affected by AIDS and to assist women in Kenya. For each of the projects, Ndethya wa Ngutethya Women’s Group and Spurgeon School for AIDS Orphans in Kenya, Robertson raises funds in the U.S. to buy clothing for African women and children, and then travels to Kenya and brings artisan-made items back from the Nairobi markets to sell at Fair Trade Bloomington and other fundraisers to benefit the Kenyan artists. Claire Robertson’s papers in the IU Archives are now open for research. Anyone interested in the research process, or in topics relating to African Studies or Women’s Studies will find this collection to be full of interesting material! In addition to items relating to Robertson’s work, the collection contains some other materials relating to her interests which she collected throughout her career. Contact the IU Archives for more information. 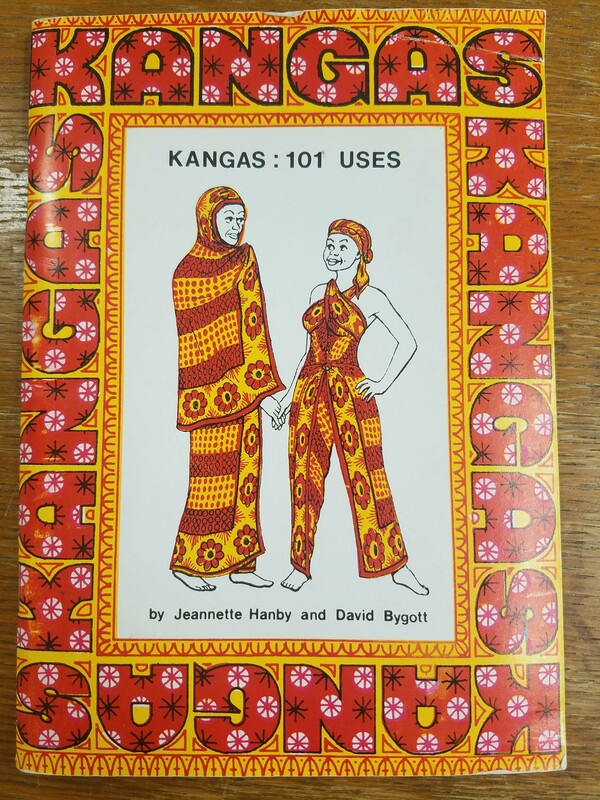 Portions of the collection such as African Newspapers and journals are now part of African Studies Collection here at IU, and files documenting her teaching activities at the Ohio State University were transferred to the OSU Archives. With the 2016 elections close—and the possibility of the election of the first woman U.S. president in history—it’s important to remember how far women have come across the frontier of American politics. As you undoubtedly know, women did not obtain the right to vote in this country until 1920 when the states ratified the 19th amendment to the Constitution. It took almost 100 years after that for a woman to be seriously considered for the highest level of office. 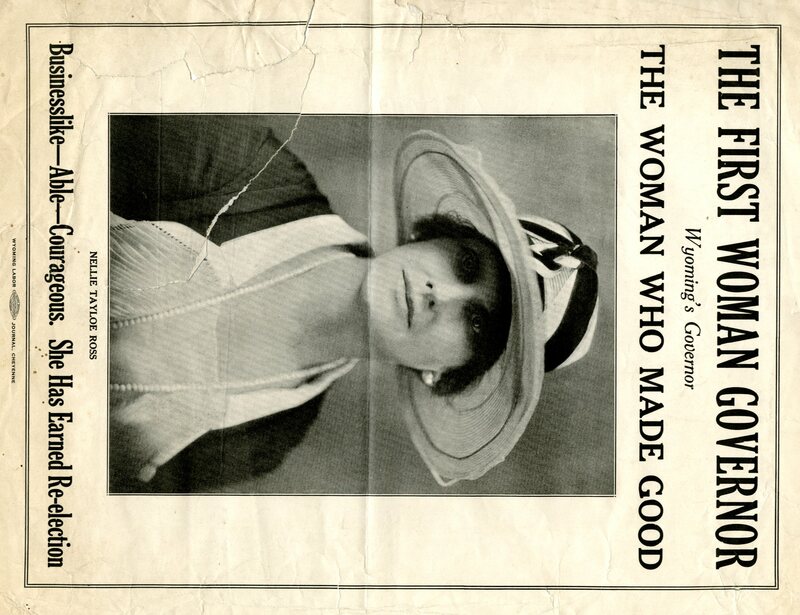 But years earlier, in the very wake of women’s suffrage, Nellie Tayloe Ross would become the first woman governor of any state. 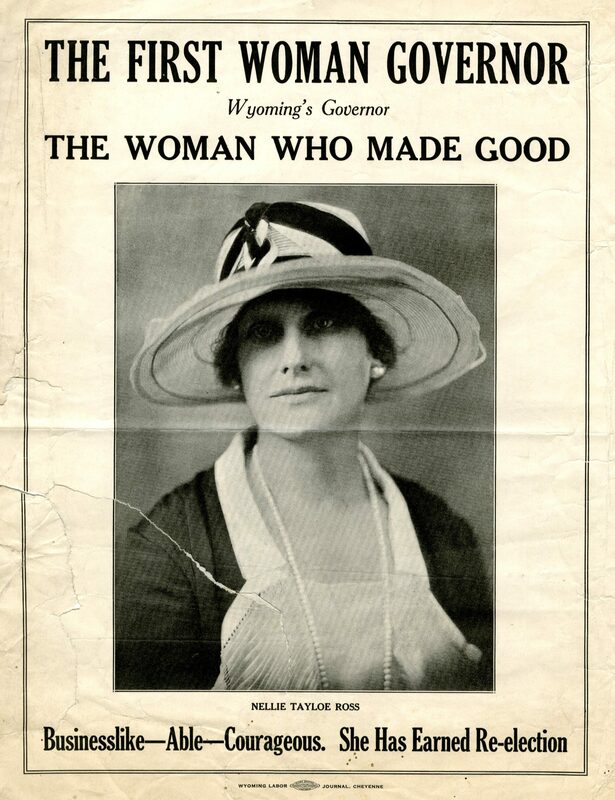 Ross became the governor of Wyoming in 1925, easily earning the office after the death of her husband a year earlier. According to many prominent politicians of the time, she was the “woman who made good;” Republicans and Democrats alike agreed, for the most part, that she had done her duty well during her two years in office. With how little effort it took her to get the vote and earn office in the first place, many believed it should have been smooth sailing when the time came for reelection in 1926. A number of women stood behind her and worked the campaign in order to keep her on the Democratic ticket. But the effort proved more difficult than anticipated; enter Cecilia Hennel Hendricks, former IU teacher and alumna, who would see firsthand the obstacles in fundraising for a female candidate. Hendricks, formerly Hennel, was born in Evansville, Indiana in 1883. She attended IU, performing as an exceptional student and leader both in and out of the classroom, and was even elected as the editor-in-chief of the campus yearbook, The Arbutus, in 1907. By 1908, she had earned both her Bachelor’s and Master’s degrees. For the years to follow, she held positions on the Indiana University faculty as an instructor in the English department and an assistant editor of publications. So how did an accomplished woman living in Indiana with a career underway end up working the campaign for the governor of Wyoming? The same way anyone would: by marrying a bee farmer. A marriage to John Hendricks of Honeyhill Farm took her all the way to Wyoming for an interlude in her IU career, and after a few years she would find herself swept up in the efforts for women in politics. From this, Hendricks went on to ask for a donation to the campaign funds. Not all of her attempts were fruitful. In fact, a majority of the responses Hendricks saved were polite, yet firm rejections to contribute to the campaign. Mary Roberts Rinehart, an American mystery novelist, wrote that she was “not a citizen of the state” and that she “really think[s] it would be an impertinence on [her] part to suggest anyone to them as the party of their choice, or to contribute to the campaign, or to align [her]self on either side of the politics of [Wyoming].” Still, Hendricks remained adamant, writing to a number of other possible donors, including the editor of Good Housekeeping in New York (hoping they would publish an article she wrote about Ross) and Emily Newell Blair, a writer and one of the founders of the League of Women Voters. Blair stated that, although she could not donate, she had convinced others to donate to the cause. Aside from solicitation, Hendricks remained alongside Ross for the majority of the campaign, attending many of her rallies and reporting on the success of her speeches. Her file includes a hefty stack of newspaper clippings that mention Ross’s highs and lows during election and as governor of Wyoming. Nellie Tayloe Ross lost the election to Frank Emerson by a narrow margin. Naturally, her supporters were disappointed by the surprising loss. It might have meant a severe backtracking in the way of women’s rights. Hendricks, however, took it upon herself to write a heartfelt and compelling letter to Ross after the election had fizzled. “I feel personally,” she wrote, “in spite of defeat, that there is a good deal of comfort to be derived from participating in a campaign, for when one counts the increased information about her state, the contact with fine people everywhere, the friendships made, and above all, the knowledge gained that will be the basis for better work in the future, one must feel it is all far more than worth while.” Hendricks reminded Ross, and us all, of the true spirit of election season and all of the benefits of participating in American politics. Sorry to report that Hendricks also lost her race as State Superintendent of Education. Hendricks remained in Wyoming until 1931, when she returned to Indiana University. Back in Bloomington, she continued with her impressive drive. As a member of the Dept. of English faculty, she went on to found the IU Writers Conference, held office as president of the Women’s Faculty Club in 1941, and made an overall remarkable impression upon our school. Marina Svetlova was born Yvette von Hartmann on May 3, 1922 to Russian parents in Paris, France. She began studying dance at a young age and debuted professionally as a child performer in 1931 with the experimental dance troupe of Ida Rubinstein. While in Paris, Svetlova studied under Vera Trefilova, Lubov Egorova, and various other Russian emigres ballerinas. She became a soloist with the Original Ballet Russe de Monte Carlo in her late twenties, dancing with the company for three seasons. After leaving Ballet Russe, Svetlova came to the United States. In the U.S. she danced as a guest artist with the American Ballet Theatre in New York City and as Prima Ballerina with the Metropolitan Opera Ballet for seven seasons from 1943-1950, leading the opera’s 1949 and 1950 tours. During this time, she created her own touring dance troupe, which flourished until 1969. In addition to her performance career, Svetlova was also a teacher and choreographer. She worked for the Southern Vermont Art Center from 1959-1964 before founding the Svetlova Dance Center in Dorset, VT in 1965, which she directed during the summers until 1995. Svetlova joined the IU School of Music and its Ballet Department as a part-time instructor in the spring of 1970. By the fall, she was named department chair, a role she held until her retirement in 1992. Svetlova remained in Bloomington until her death on February 11, 2009. The Archives holds a small collection of Svetlova’s papers that primarily documents her career as a performer. Included are a journal, performance programs, correspondence, news clippings, photographs, and scrapbooks. Contact the Archives for further information!